Where can you get Tendonitis and Tendonosis? The tendons on the outside of the elbow that are used to make a fist with your hand become inflamed or injured through repetitive use, such as gripping a tennis racket, raking, painting, weightlifting or knitting. 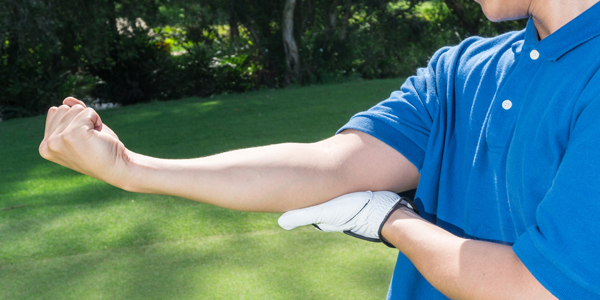 The tendons on the inside of the elbow that are used to rotate your arm and for flexing your wrist become inflamed or injured through repetitive use, such as golfing, pitching or carpentry. 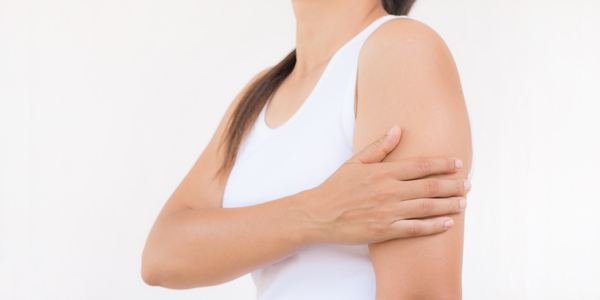 The tendon connecting the upper part of the bicep to the shoulder becomes inflamed or injured over time through the repetitive overhead use of the arm. Small (1-2 cm) calcium deposits form within the tendons of the rotator cuff. The exact cause is unknown, but thought to be caused by the delayed healing of shoulder tendonitis and increasing age, and is more common in people with diabetes. 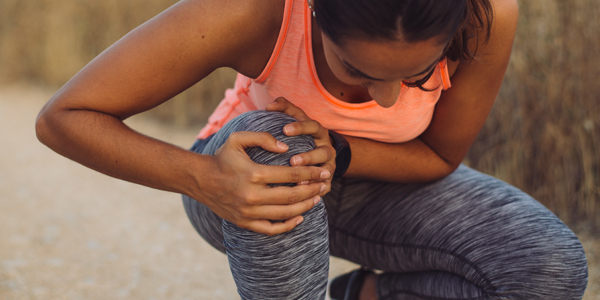 The tendon connecting your quadriceps to your patella (knee cap) becomes inflamed or injured usually from activities that require a lot of starting and stopping such as football and soccer. The tendon connecting your patella (knee cap) to your tibia (shin bone) becomes inflamed or injured from repetitive jumping, such as experienced in gymnastics, basketball, dancing or volleyball. The tendons that connect your peroneal muscles of the lower leg to your bones in your foot become inflamed or injured, usually from repetitive ankle motion, such as running or jumping. You can also be more prone to this if you wear unsupportive footwear over long periods or have high arches. The tendons connecting your calf muscle to the bones on the inside of your foot become inflamed or injured, usually from repetitive high-impact use of your feet, such as running, soccer or basketball. 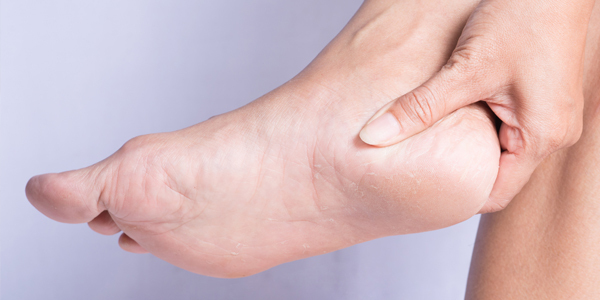 If left untreated, over time it will result in a collapsed arch and flat foot. 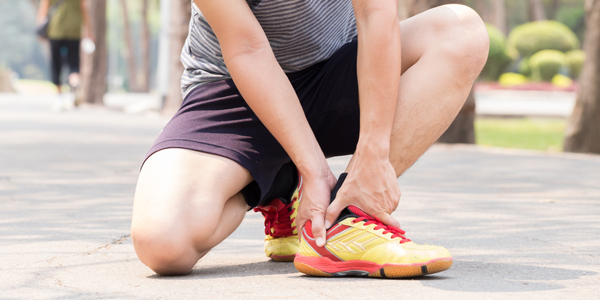 The tendons connecting your calf muscle to your heel bone become inflamed or injured, usually from repetitive high-impact use of your feet, such as running, soccer or basketball. The tendons in your wrist become inflamed or injured, usually from repetitive use of your wrist such as writing, using a computer or sports where you use your wrist often like tennis. A tendon is a thick fibrous band of tissues that attach muscles to bones. You can think of them like an elastic band, in that they stretch when you move your joints to accommodate the movement. They also help to absorb some of the shocks from your muscles when they move. What is the Difference Between Tendonitis and Tendonosis? 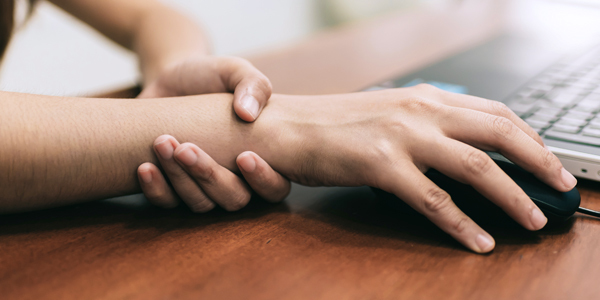 Tendonosis (also called tendinosis) is a long-lasting, chronic, and recurring condition that happens as a result of repetitive strain or an injury that hasn’t healed properly. Because of the long-term nature of tendonosis, there is rarely any inflammation, redness or swelling as a symptom. Instead, you may have more degenerative changes to the tendon such as abnormal blood vessel growth. Tendonitis is a sudden, acute, and short-term injury to the tendon. You may experience pain, inflammation, redness and swelling in the area. Tears and damage to the muscle are typically more pronounced. What Causes Tendonitis and Tendonosis? Tendonitis typically is caused by a sudden injury to a tendon, usually from blunt force, such as landing a jump the wrong way. What are the Signs and Symptoms of Tendonitis and Tendonosis? How are Tendonitis and Tendonosis Treated? Can Tendonitis or Tendonosis go Away on Their Own? Yes, if successfully treated at home, tendonitis can go away on its own. However, if it’s not treated correctly, tendonitis can turn into tendonosis. Without treatment or activity modification, tendonosis which is unlikely to go away on its own. Can you Prevent Tendonitis and Tendonosis?